Thick-headed flies (Conopidae) often mimic thread-waisted wasps. 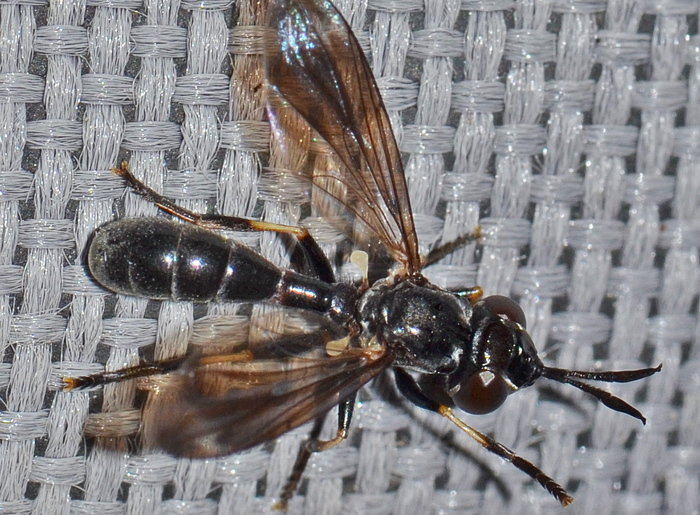 The conopid flies are solitary and typically internal parasites of Hymenoptera (especially wasps and bees). This specimen is in the subgenus Gyroconops which in the US has only one species. Apparently a rare find!